Synopsis: Everyone’s favorite action hero Snake Plissken (Kurt Russell) is recruited to go behind enemy lines to execute the president’s daughter (A.J. Langer) for wearing hotpants and “do me” boots. Snake is also supposed to retrieve a CD player thing that’s a remote control for the universal “off” switch. Al’s Role: Al plays one of the Shadow Warriors who hangs with she-man Hershe (Pam Grier). Every time it shows her he’s in the background doing henchman stuff, and he gets to do his fair share of fighting in this one as well. He goes medieval with his futuristic machine gun and gets to hang glide into the final battle scene. Al Dialogue: Al doesn’t say anything, but he screams briefly when he dies. Al Dies: Unfortunately, all good things must come to an end. After wiping out half a dozen villians, he climbs into a getaway chopper which gets hit with a rocket shortly after takeoff. He’s the burning thug on the far left. John Carpenter on the set of Escape From L.A.
Synopsis: Al and a group of “terrorists” interrupt a Christmas party at the Nakatomi Plaza office building to steal the contents of the safe. Al’s Role: Al plays Uli, one of the “terrorists”. His big scene is when he breaks into a candy machine and steals a Nestle Crunch bar. Al has a pretty vital role, actually. It’s his job to place the explosives on the roof to blow the hostages to smithereens. Unfortunately, some cowboy from New York City plugs him on his way back from the roof. Al Dies: Toward the end while returning from the roof, Al is shot by McClane (Bruce Willis). Al’s Role: The head honcho Dellaplane’s chauffeur and right hand man. He is only visible for a couple of minutes, total. First, there’s a brief closeup of him watching Craig T. Nelson as he whoops the hell out of one of his karate students. A short while later, the villain finds it necessary to shoot Sharon Stone through the gut after she has fallen for the hero. Al bursts in the door, gun in hand, to see what the trouble is. Al Dies: During one of the climactic battle scenes. He only has time to show off a few martial arts tornado kicks before an extra puts several bullets in the poor guy’s chest. That’s right: he’s not even killed by a main character. 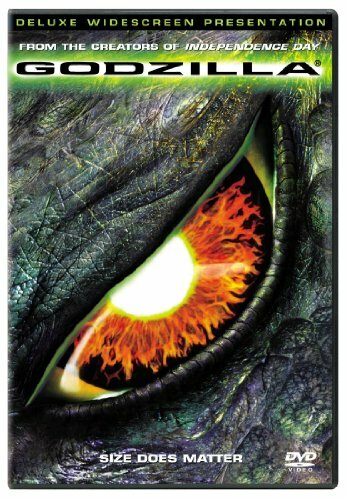 Synopsis: A gigantic lizard tears apart Manhattan. Al’s Role: One of the fishermen aboard the ship at the beginning. He gets a long closeup shortly before the big lizard takes a swipe at him. Al Dialogue: If Al says anything, it’s lost in the noise from the ship being torn apart. Al Dies: It’s hard to say exactly what the cause of death is. It shows him sitting there, then a gigantic claw swings in front of him, and when it moves away, Al is gone. I can’t decide whether he was stomped, slashed, or drowned. In any case, Al gets killed by Godzilla, and that has to count for something.